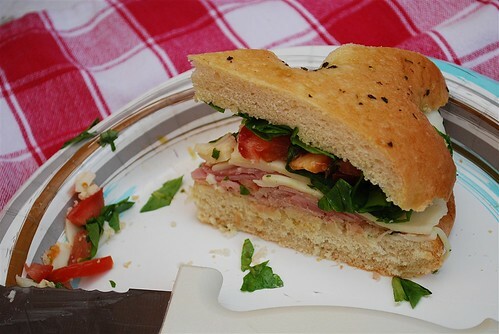 The Tailgate Sandwich is perfect for a picnic in the park or any occasion when you need sandwiches for a group. 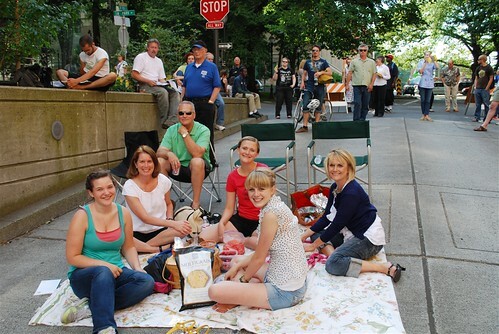 Last week we decided to have a picnic dinner and take in one of the free concerts in downtown Portland. I pulled out one of my favorite picnic recipes, the Tailgate Sandwich from my Portland Palate cookbook. It is the perfect make ahead sandwich for such an adventure. I prepared the sandwich the night before and let it sit in the refrigerator. 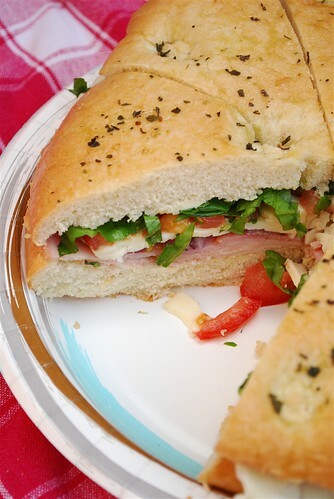 Costco has a great 3 pack of focaccia bread that I love to use with this recipe. I covered it in olive oil and some Italian seasoning and baked it. After it was cool I spread some butter, mustard and mayonnaise on it along with some turkey, ham, provolone cheese, red onion, tomato slices and cut up spinach. I also added a little Penzey’s sandwich seasoning. 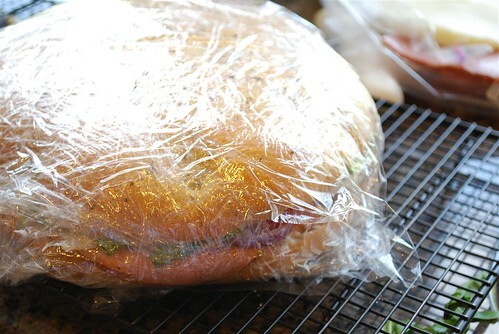 All you do after that is wrap the whole thing up tight in plastic wrap. 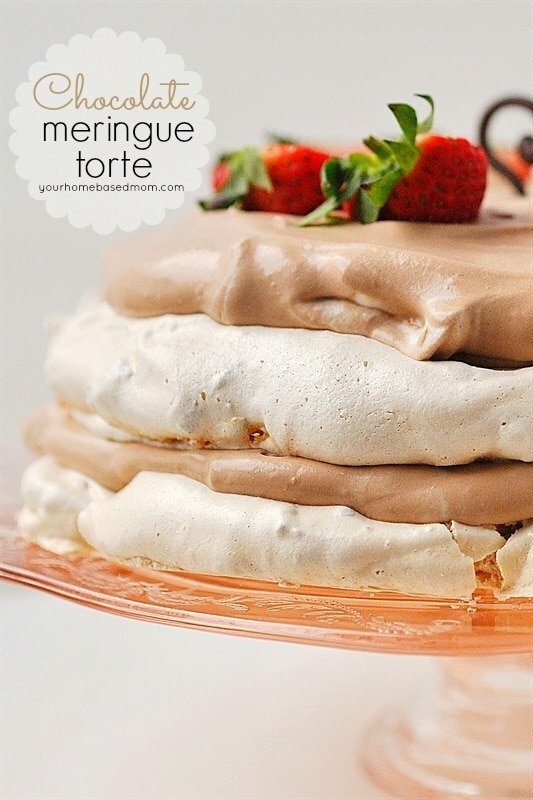 And then wrap it in a layer of foil. Just pop it in the refrigerator and let it sit. 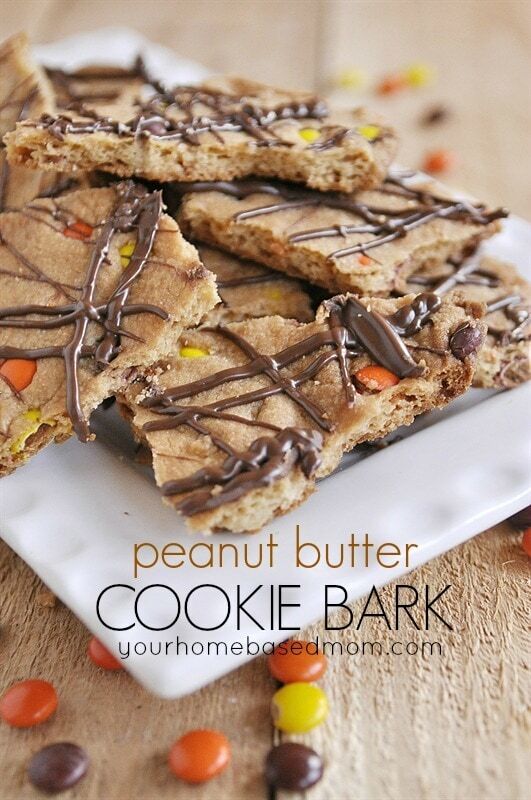 The flavors all meld together and it makes for a yummy sandwich. Nothing gets soggy, I would never recommend a soggy sandwich! But the time in the fridge enhances all of the flavors. I have also made the Tailgate Sandwich using a pesto mayo as well. It was wonderful! When we were ready to go, I popped the whole thing into the picnic basket. Don’t forget a knife to cut your sandwich with! Add some fruit, carrot sticks and multigrain chips with hummus and salsa to the basket and you have a pretty wonderful picnic . And chocolate chip cookies for dessert never hurt either. We had a delightful evening with friends and good food listening to fun music! The best part was, it was all free. We like free fun at our house! What do you do for free fun in the summer? 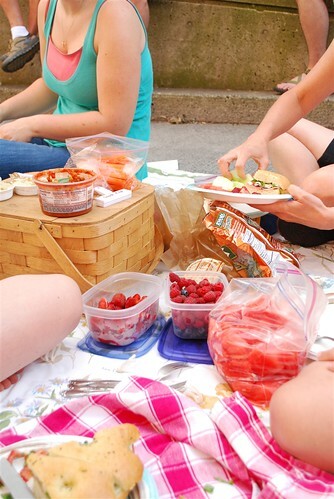 Do you have a favorite picnic recipe to share? What a fun evening! Your sandwiches look delicious. 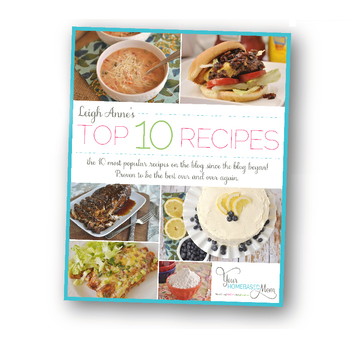 Don’t you just love that cookbook? Have you tried Le Pain Florentine? I have never served it cold, but it is a great one for Autumn. Thank you again for allowing me to be your guest! You are a great hostess! Looks like a wonderful sandwich recipe….I will definitely try that. 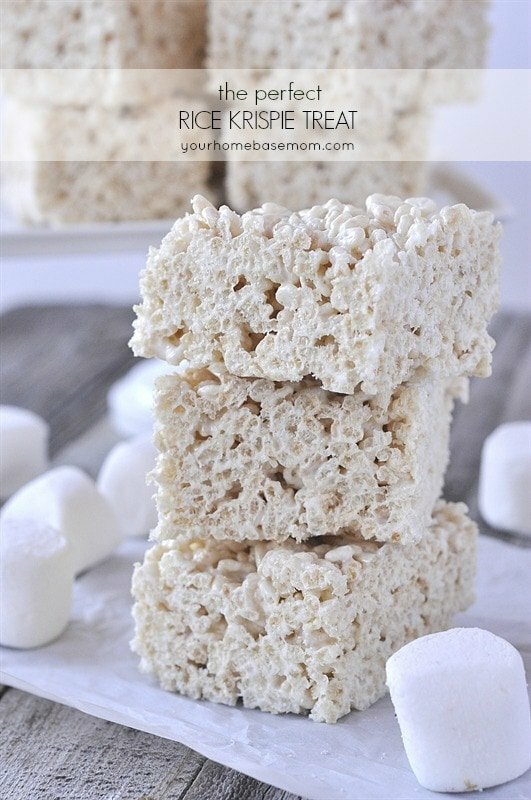 Reading this post also brought up a problem I have….using up all of the ingredients for things I make. For example, when you bought the three pack of foccacia bread, and then only used one, what did you do with the remaining two? This frequently happens to me with fresh herbs and breads especially, and I hate to be wastefull. I am just not “creative” in coming up with additional foods to make using those ingredients, and this post made me think of that. Any ideas would be helpful! I so enjoy your blog! Susan, The great thing with the focaccia bread is that it freezes great. I used the one for the sandwich and put the the other two loaves back in the bag it came in and popped it in the freezer. I just pull them out one at a time to use them. I also love the focaccia bread served with spaghetti. 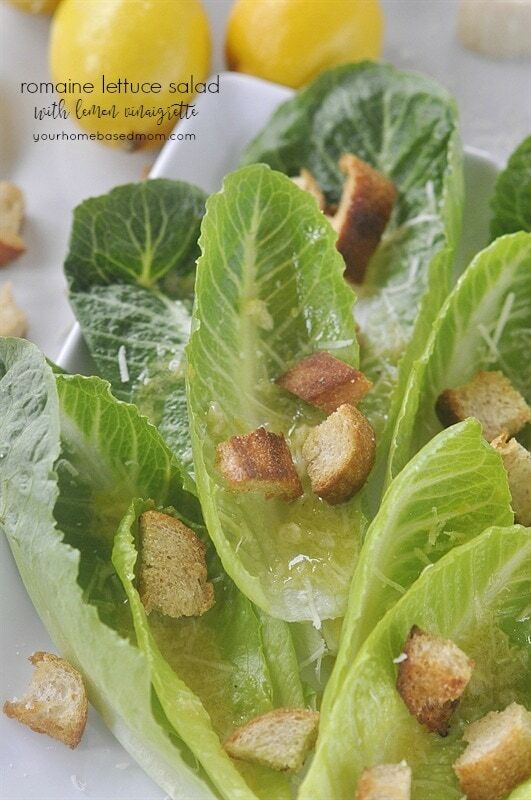 Just cook it like with the sandwich and then slice it and serve. I enjoy fresh onions in so many recipes, like the one you have above. Maybe you don’t have trouble with slicing onions, as I do. My sinuses and eyes really react and it takes me hours to recover. I usually ask my dear husband to slice them for me. He does not get phased by the onion at all. 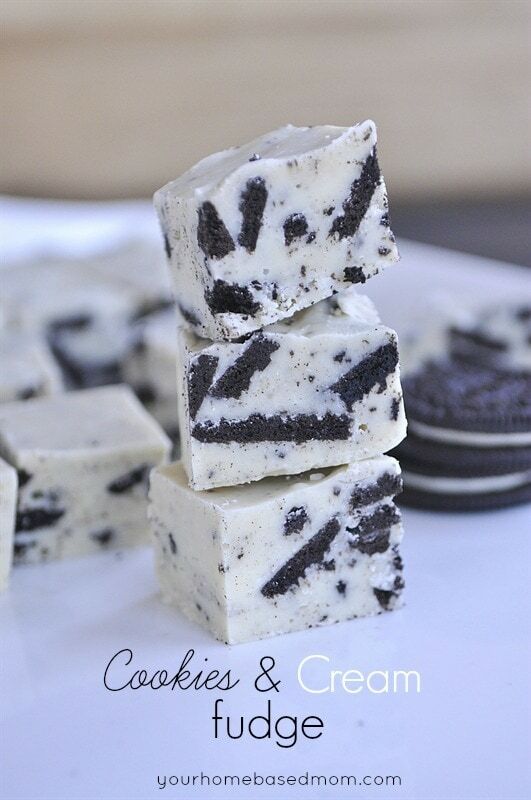 Do you have a tried-and-true-trick to slicing them, that works for you or know of one that works for others like myself? Melinda, I hate slicing onions and always try to get someone else to do it for me. I don’t have any great tricks unfortunately! This sandwich needs a new name, it has way too much spinach and not enough meat, fat, or BBQ sauce to be considered a “tailgate” food. Clark, Yes I realize if I was making the sandwich for you I would leave off the green stuff and add lots more meat!! Love you son! I am not a sandwich kind of girl, but this looks very tasty. I especially love the more unique breads instead of the usual wonder bread sandwiches. YUMMY! 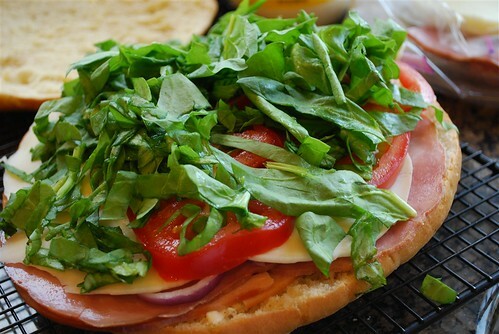 I want that sandwhich right now! so much for all the fabulous gifts. That is the nicest thing ever!! Can’t wait to make more notebooks! You are WAY too kind. I really appreciate it, and all your pretty things! Wish I could have read this earlier on Monday, it would have been perfect for our picnic at Sundance before the show. Guess we’ll have to try it in Montana next week . . .
Where do you find the focaccia bread at Costco? It is usually on an end cap (the end next to the outside wall) near the bread section. At least at the Aloha Costco! Hi there, I know this is an old post, but I’m searching for the brand of focaccia bread that costco used to sell, but no longer carries (at least not in my local store). Have you purchased any lately, and if so could you tell me the brand name?? THANKS! This is the brand I would buy from Costco – Portland French Bakery. I haven’t bought it in a while so not sure if they still have it or not?